That’s right, folks. The fine people of Annapolis Cat Hospital and Bay Ridge Animal Hospital in Annapolis, MD, put out this video on dental health and it fantastic. It’s got lots of great tips and facts. Not to mention the dalmatian holding a toothbrush cracks me up. Take a look at the video and just TRY not to dance and sing along. It’s nearly impossible! Many clinics will take the next month to focus on “dental month”. While we do believe it is important to highlight dental care, we prefer to do this all year long! Proper dental care is vital to the health and well-being of your pet. Just like babies, it isn’t to train to your puppy to accept his teeth being brushed from the beginning, but that does not mean you can’t teach an old dog new tricks! Start slowly by using your finger and some doggy toothpaste. Once your pet is used to that, you can slowly get him used to you using a toothbrush. Oral rinses are another great idea, especially for those pooches and kitties that don’t particularly care for their mouths being messed with. Dental diets are great as well, although not always the best choice for our heavier patients, as these diets are typically high in fat. We know that antlers are all the rage in pet products currently, but they do pose quite a threat. We have seen several cases of fractured teeth caused by chewing on antlers and other similar products. If you are looking for a product that your dog can chew on for a while, look into Nylabones. These come in all shapes and sizes and are soft enough to not destroy your pets teeth, but to also give them the satisfaction of a good chew! As always, we recommend monitoring your pet while they are enjoying these toys. 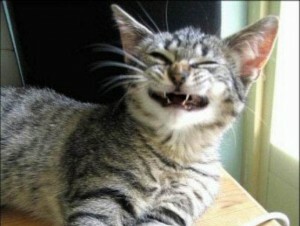 If you think your pet has a dental issue (or any other issue! ), schedule an appointment with one of our vets to take a look! 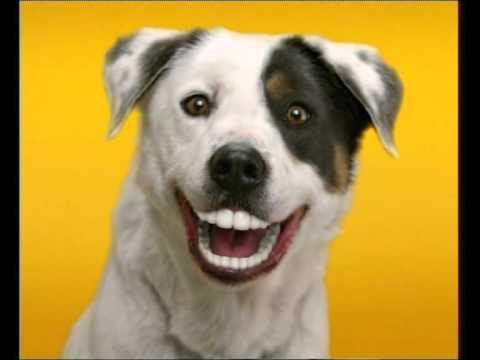 Let us help your pets keep their pearly whites looking great!